See! How beautiful SUQQU Designing Color Eyes are! 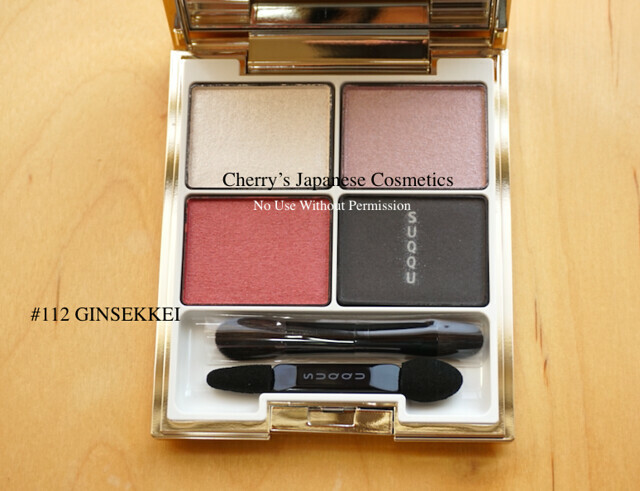 Still SUQQU Designing Color Eyes is one of the best seller in Japan. #06 Yoibeni is new for AW2017. 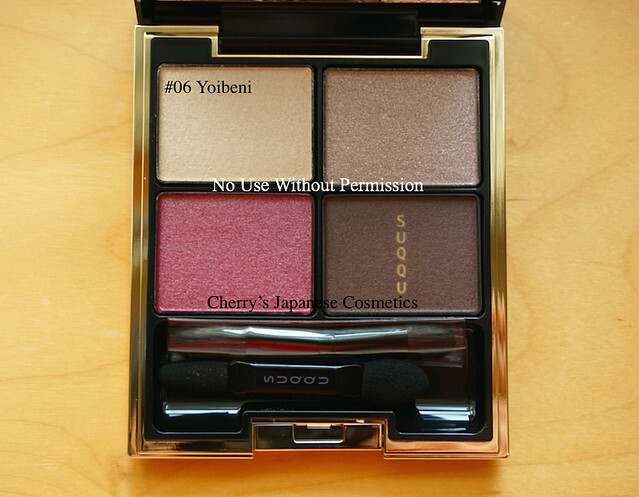 A friend of mine bought #06 Yoibeni, and she let me review this for the blog. Quickly I show you some. To be honest, this two upper are not easy to take photos. However both are beautifully with small posh glitters. 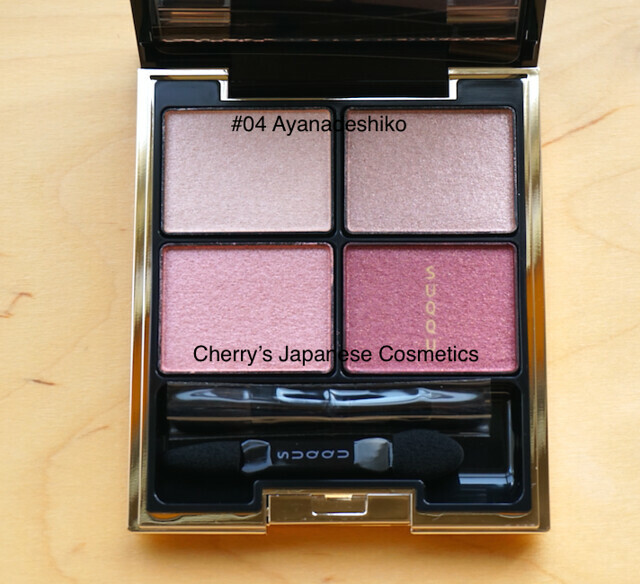 As of Spring of 2017, SUQQU Designing Color Eyes is one of the best seller in Japan, and hard to obtain, especially #04 Ayanadeshiko. There are long line to be shipped, and finally I bought one for myself. And as of 12th of April, they are already sold out again. 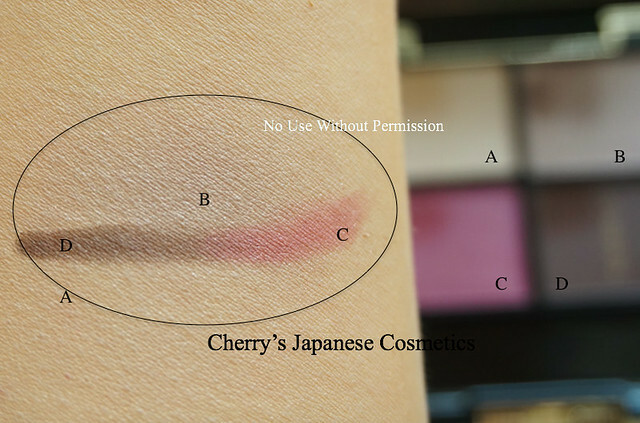 Let me show you the swatch first. I took another photo of this (of course the same order) with different contrast of the right. It is difficult to show you what exactly I am seeing. Let me show you my idea of horizontal. May show you the vertical idea later. The next idea is using 2 colors. This is what I often do. This is really simple, but gorgeous for under sunshine of Spring! This is also what I often use. Because I have drier eyes, I often drop eye drops, I do not use powder eyeliners. 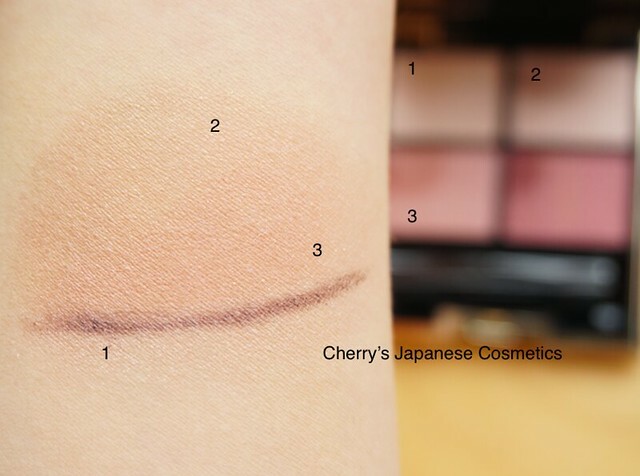 If you can use powder eyeliners/ non-waterproof eyeliners, you can use the darkest (4) as your eyeliner. 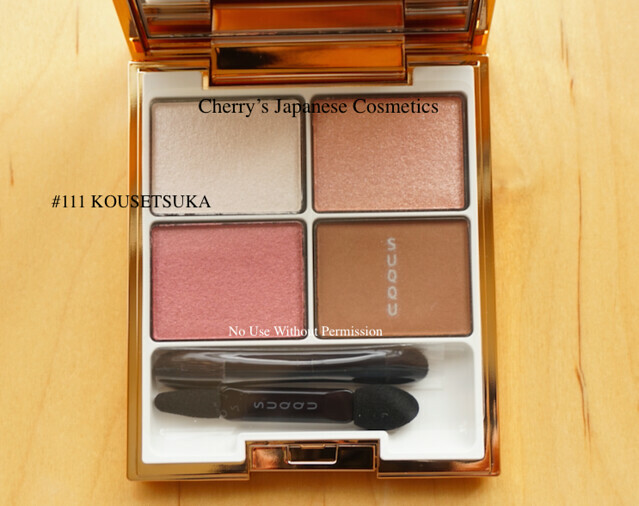 This eyeshadow of 111 KOUSETSUKA is from SUQQU Christmas Makeup Kit (2017). I obtained one for a friend of mine, and she allowed me to slightly swatch. It is difficult to see in this swatch, excluding the brown on the bottom-left, they are full pf posh small glitters. 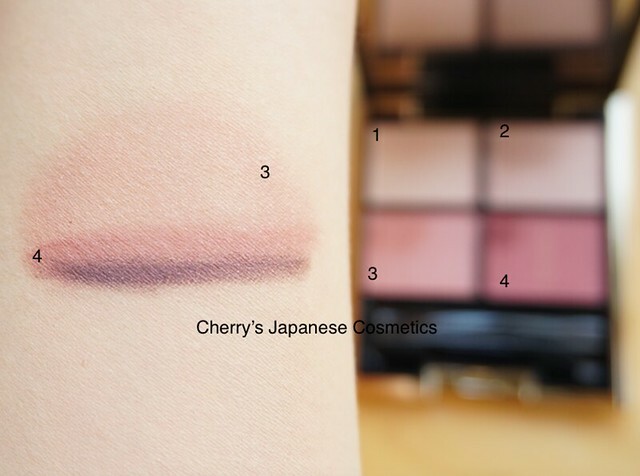 This eyeshadow of #112 Ginsekkei is from SUQQU Christmas Makeup Kit (2017). I was grabbed my hearts when I saw it. 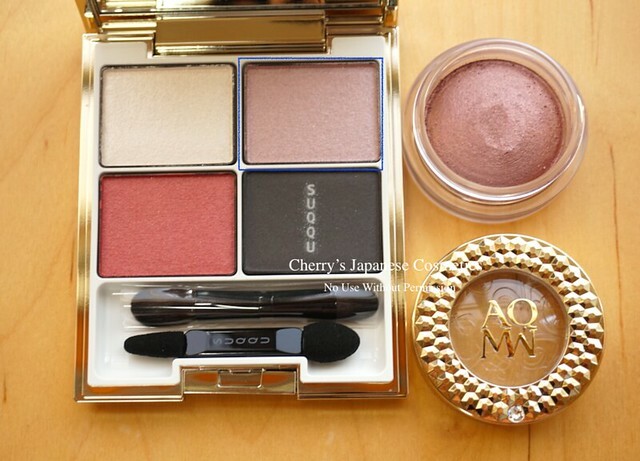 People told me that it is really looked like Eye Grow Gem, this year’s AQMW Makeup kit. What she told me is the very I marked by blue. Ah… I see. 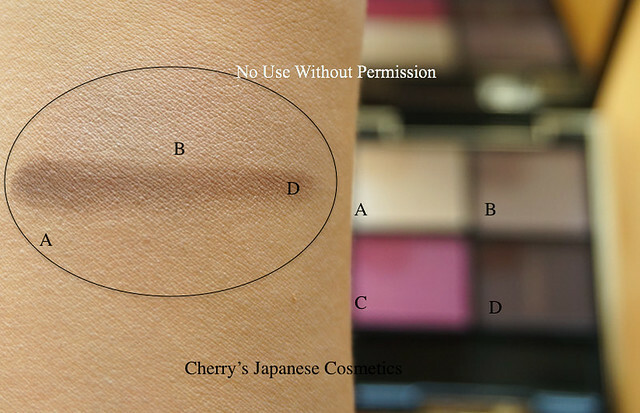 Let me swatch them. 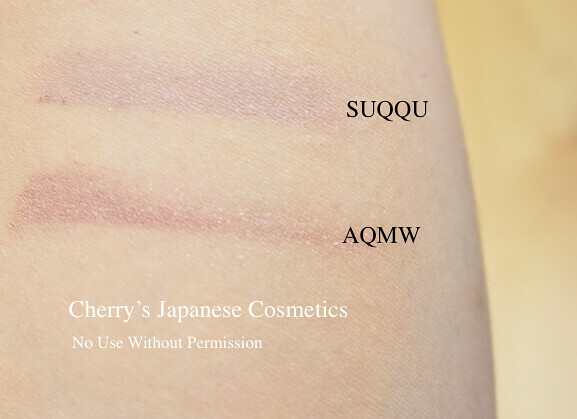 AQMW is more vivid than SUQQU. 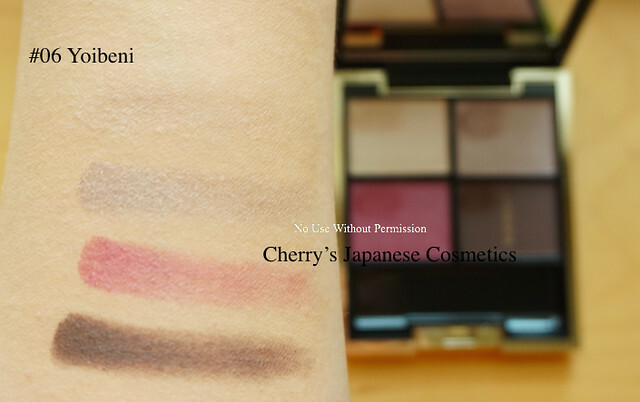 Let me swatch this eyeshadow. It is not easy to see the upper left in this picture, what I placed on the top. It is gently shining glitter.